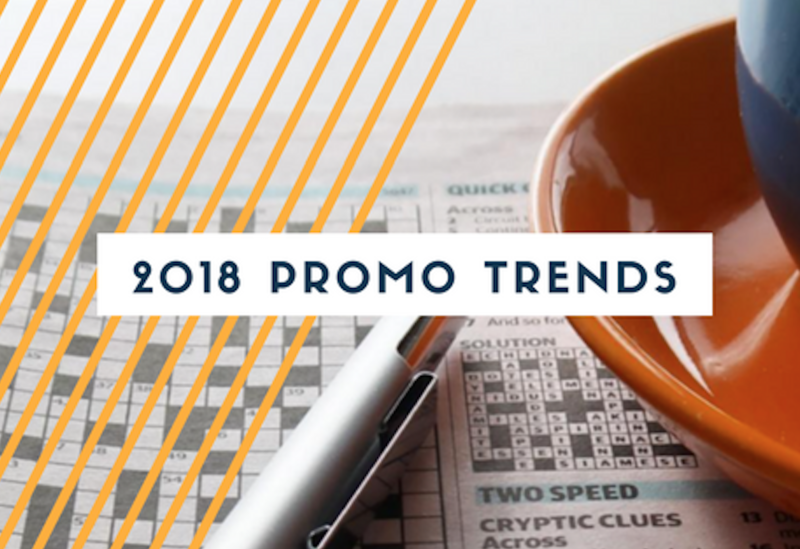 We’ll walk you through four things to consider when planning your promotional campaigns for the year. 1. Brands are more popular than ever! People are naturally drawn to brands they recognise making them a unique option. It's also great for companies to align themselves with other well-known brands. Brand recognition is becoming more and more noticeable as consumers are becoming influenced by avenues such as social media. A great example is the ever popular Leathermen multi-tools which continue to be a popular choice amongst construction and mining industries. Branded products can come with a hefty price tag but there are many alternative options that look almost identical to the branded product that are still quality products. It’s also important to pay attention to retail trends throughout 2018. Trends can have a huge impact on what promotional items will be received well by consumers. An example of this was the fidget spinner in 2017; as it hit the retail stores in 2017 it also took the promotional industry by storm. Always choose promotional items that add value to your brand! Products that are desirable and of high quality are a must in 2018. Consider multi-feature products or gift sets that serve more than one purpose. Traditional promotional items and giveaways are taking a backseat to new, innovative products. Consumers are less likely to hold onto ‘gimecky’ or ‘novelty’ items such as stress balls and instead want something creative and useful such as power banks and earphones. Are you aligning your brand with a healthy lifestyle? Employees love to know that their company values their health and wellbeing. Promotional items are a fantastic way to demonstrate this! Promotional items in this category have quickly risen in popularity as people focus more on their lifestyle choices. Fitness tracker bands are a great staff incentive and pedometers are a cheaper alternative for health campaigns. You could also consider water bottles or salad bowls to inspire healthy eating habits. So, what are your promotional plans for 2018? If you would like help finding something that aligns with your brand, contact the team at Silveradoh!